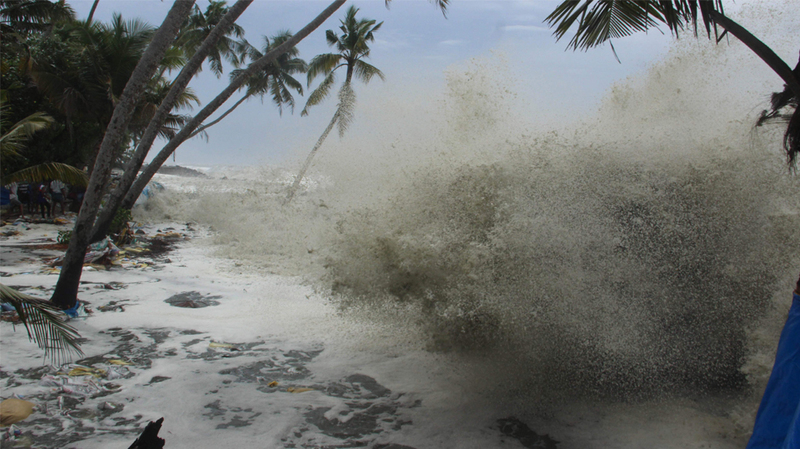 Security alert has been issued at the coastal regions in the state in the wake of sea turning violent. Visitors have been banned for 48 hours at the Shankumukham beach. Indian National Centre for Ocean Information Services (INCOIS) has warned that there are chances that waves can go as high as 5 feet to 7 feet. The fishermen are instructed not to go to the sea for the next 24 hours. Alert has been issued in coastal regions. The Indian Meteorological Department has warned about strong winds in the state. This is the roughest sea in the past ten years.